Prevent water leaks from getting out of control and damaging your property with the FortrezZ Z-Wave Automated Outdoor Water Shut-off Valve. In addition to automatic valve control, the unit allows you to manually close and open the valve anytime with the Z-Wave module’s built-in On/Off buttons or remotely through your Z-Wave network. The system consists of four main components: the motorized brass ball valve (sold separately), the outdoor-rated motor to control the valve, the indoor Z-Wave control unit, and the attached water sensor. Note** Brass Ball Valves are sold separately for the outdoor Kit. 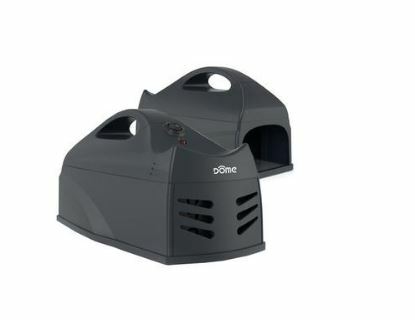 This is different than the indoor kit, which comes pre-assembled with the appropriate sized ball valve.Together with the outdoor motor, the valve connects to your water supply line. 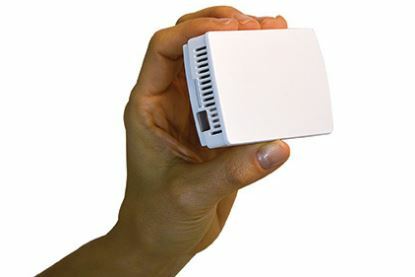 The motor is factory-sealed waterproof and uses an outdoor-rated control cable to connect to the Z-Wave module, which installs indoors. The Z-Wave module is powered by the included plug-in adapter, and you can also optionally wire in a 12VDC battery (electrician recommended) for backup. The module provides power to the outdoor motor as well. The included indoor water probe is attached to the Z-Wave module by a 9-ft cord. When water is detected, the sensor signals the Z-Wave module to trigger the motor to close the valve, and to alert you through your Z-Wave network. Add an unlimited number of wireless Z-Wave water sensors to monitor multiple locations. Although the valve can operate without a Z-Wave connection, remote control does require a Z-Wave network controller. The Z-Wave control module installs indoors only. Not rated for outdoor use. The modules come with full FCC and IC approval and are pre-scanned for CE approval. Wireless Z-Wave Water Valve Actuator WV-02 with the corresponding sized brass valve is a new professional grade, electrically operated wireless water valve introduced by FortrezZ, LLC. Used in a wireless Z-Wave home automation network in conjunction with any Z-Wave water alarm sensor (ex. WWA-0X), the WV-01 can reduce or eliminate damages caused by leaky plumbing or appliances. Every year nearly over 1 million families have their homes ruined and their lives overturned by water damage and the subsequent repairs. These incidents are always unexpected and the cost of repairs can run into the tens of thousands of dollars. This Patented wireless water detection and automatic water shutoff system can easily be installed on any home’s water supply line by a professional installer. – WV-01 uses a motorized ball valve that automatically turns off the main water supply when a leak or overflow is detected. – Comes in standard pipe sizes 1/2″ , 3/4″, 1″ , and 1 1/4″ (1 ½” and 2” sizes available by special order). – Multiple WV-01 and WV-02 Valves can be used and programmed in a Z-wave Network. – If a leak is detected by any Z-wave compatible Water Alarm Sensors the WV-02 will shut off the water supply. It can automatically trigger a wired or wireless alarm system. – Battery backup can be installed by a professional electrician. This FortrezZ waterproof outdoor shut-off valve model, z-wave, is NEMA 6 rated for homes with a water supply line located outside, in a crawl space, in a meter pit below grade level or other exterior environment. As soon as a water leak is detected by a water sensor, or by the local probe, the unit shuts off your home’s water supply, eliminating the chance of extensive property damage. For a complete kit installation, interested customers need to also purchase the required FortrezZ correctly sized Ball Valve (1/2”; 3/4”; 1”; or 1 ¼” sold separately). Three different cable lengths are available; select 25, 50, or 75 feet of cable depending on the length required to connect the actuator installed outside to the control panel to be mounted inside. Customers installing the Shut-off valves may qualify for insurance premium discounts (contact your insurance provider for details). Water Valve Actuator for Outdoor Use is interoperable with various Z-Wave Hubs and gateways. Z-Wave Alliance Certification Number ID: ZC08-13040028. This Z-Wave device can be monitored with the Nexia Smart Home System app. on your smartphone, tablet or computer. Monitoring fees required, see chart for pricing.